The people of Ukraine will experience benefits later this year as a result of the ongoing reforms supported by the International Monetary Fund (IMF), the country's Prime Minister Volodymyr Groysman told the Financial Times newspaper. MOSCOW (Sputnik) — Kiev is currently in the process of implementing reforms concerning its pension system, land ownership, state-owned enterprise privatization, and combating corruption, in exchange for the financial support of the IMF. "We are now at a point, a platform from where we move to growth and the people will feel it, or God forbid we will fall back into stagnation," Groysman said in an interview published on Wednesday. The prime minister also acknowledged the massive public disillusionment with reforms and hailed the IMF’s decision to disburse the next $1 billion tranche allocation to Ukraine. According to the Financial Times, Ukrainian GDP increased by 2.3 percent in 2016 on a year-to-year basis but many people still face hardships surviving in a country with a minimum wage of approximately $100 per month. 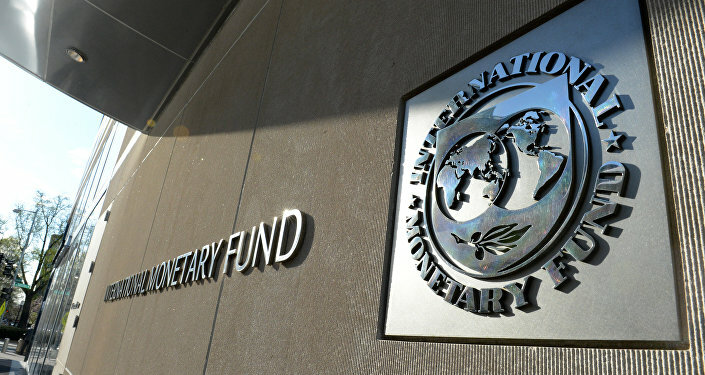 The IMF approved a four-year program of financial aid to Ukraine in March 2015. Kiev has already received four tranches of aid totaling $8.38 billion under the program, which stipulates the allocation of a $17.5-billion loan to Ukraine to revive the country's economy and requires the implementation of economic reforms.